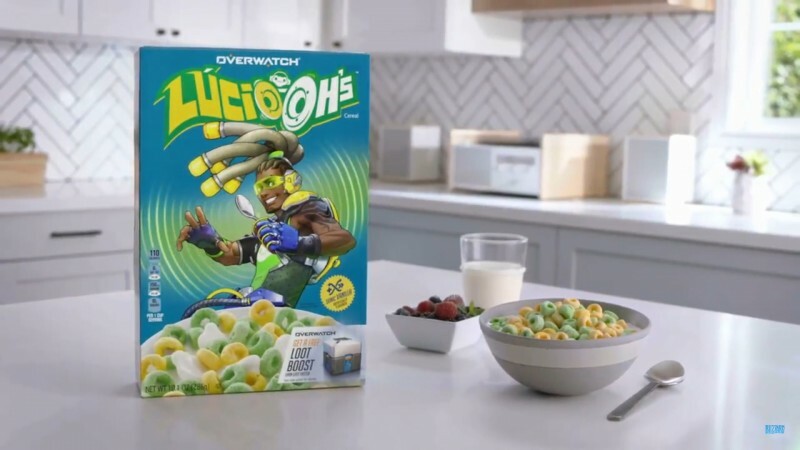 Prepare to "amp up your breakfast with a sonic boost," because Overwatch just announced a breakfast cereal featuring Lúcio. Brought to you in partnership by Blizzard and Kellogg's, the new cereal is called Lúcio-Oh's and looks a lot like Fruit Loops ran out of every color but yellow and green. In Overwatch, Lúcio Correia dos Santos, a world-renowned musician, uses a Sonic Amplifier to pummel enemies with projectiles. He can also push them back with the force of the sound blasts. Lúcio helps his team by either boosting their speed or healing them with his music. Every cereal box comes with a special loot boost inside which you can redeem in-game. Lúcio-Oh's will be available in the United States starting December. Want to see what else is going on at BlizzCon? Watch the entire opening ceremony here.